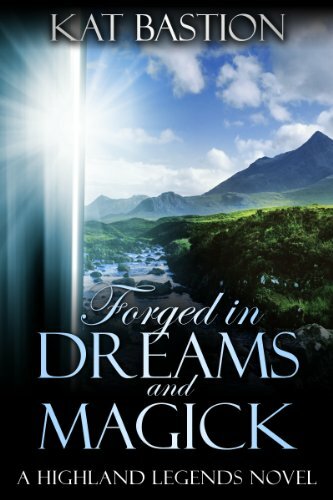 Just a quickie, for fantasy romance lovers Kat Bastions wonderful Forged in Dreams and Magick (Highland Legends Book 1) is on offer for a short time at 99p. I reviewed it some time back when it first came out. Like thousands of readers I got sucked in to the magic of Samantha’s romances by way of the wonderful Joss and Braden, and their book is still one of my all time favourites. Though that became a series it felt very much a stand alone romance, where this one feels much more about the Boardwalk people rather than just Jess and Cooper. They’re a great couple but didn’t dominate the book, they got a little lost for me among the other present and future characters. Its still a great read though, still a tender and well thought out romance, with some mysteries, to puzzle out, such as what is Jess hiding ( I didn’t expect that!) and of course Cooper and his family issues. I really enjoyed their story but it wasn’t the keep-me-glued-to-the-page sort that ODS was, where I just had to know how Joss and Braden would make it through. That one was a real tearjerker, where this is just one that has some sad parts and some happy ones, fun to read but not that angsty or emotional – and I do so love A and E in a read! I kind of missed that and never felt really intensely connected to Jess and Coop, I knew of course they’d work through somehow, that’s the point of romance reads after all – the HEA, but I never really got the feeling they might not make it, that they really were struggling, that there was a chance it wouldn’t work out. Who really intrigued me from the first mention of them were Bailey and Vaughn…wow- the ST between those two jumps of the page! I Really, Really want to read their story, need to know just why they are so sharp with each other, and how Tom fits in. There doesn’t seem to be any real feeling between him and Bailey in contrast to her and Vaughn. Then there’s the mystery of Emery, why is she so quiet, and of course we only scratched the surface of Dahlia. And Jack, former BF to Cooper til he betrayed him so badly – will he be in later reads? I hope so, he’s got a family background ripe with blackmail and collusion. So though the romance between Jess and Cooper was very good, it wasn’t great for me, but…its also brought in characters and a setting that’s a terrific and tantalising intro to a new series so its still a good read. 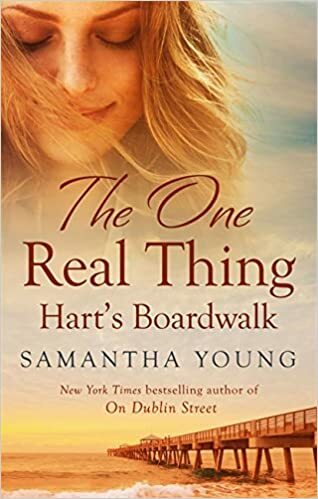 Samantha’s romance writing style very much reminds me of Karina Halle’s contemporary romances, another favourite author who often features the UK in her settings – great for us Brits who like to recognise places in stories. It makes them feel more real, even if its only a place we “know” about via news, web, tv etc. This book isn’t a UK one, sadly 😦 We’ve some great piers – UK boardwalks – and I’d have loved it to be set on one of those. Stars: Four, a great intro to a new series, and I really want the Bailey/Vaughn story soon. there must be one for them mustn’t there?